Maryo's Story of "The Windmill Book"
My father, Robert Gard was an American pioneer, even something of a revolutionary, in advancing the idea that the arts were more than just entertainment and decoration; they were the way for individuals, their communities and the democracy itself to articulate and develop a true grassroots strength. After World War II he was hired by the University of Wisconsin College of Agriculture as a "circuit-riding writer," traveling from community to community in Wisconsin to help people collect and write down their stories. The University of Wisconsin at that time was committed to the idea  articulated through the first half of the 20th century as "The Wisconsin Idea"  that there was an important "agri-culture" to develop in the farmlands as opposed to just the "agri-business"; in addition to a writer, the UW College of Agriculture, later the Extension Division, employed painters, musicians, dancers, childrens theatre experts, and others. In 1969, my father received the first rural arts grant given by the new National Endowment for the Arts, to carry forward that work, and as part of the grant, he and his associates Mike Warlum and Ralph Kohlhoff wrote a manual for communities to use in developing their own creative cultural lives. This book, The Arts in the Small Community, became known as "The Windmill Book," after its cover picture, and it helped towns and cities across America develop local and regional arts councils. Last year, the Wisconsin Arts Board decided that "The Windmill Book" should be updated; Robert Lynch, director of Americans for the Arts who had used "The Windmill Book" early in his own career, agreed, and Americans for the Arts decided to publish it. I was asked to bring the book and its examples up to date as a useful tool for communities today, and had the pleasure and privilege of working on it with Mike Warlum, one of the original authors. We retained the original "big ideas"  which were (still are) ahead of their time and are absolutely contemporary for the 21st century  and we retained the original opening essay and closing poem, which are stirring and timeless. But otherwise, we provide contemporary examples; key issues for each topic area; and Questions for Discussion. The book is inteded to be a do-it-yourself workbook for planning, or re-planning, your own local arts endeavor. Weve pilot-tested it in four small communities, and all four have declared it to be an invaluable, useful tool for them. 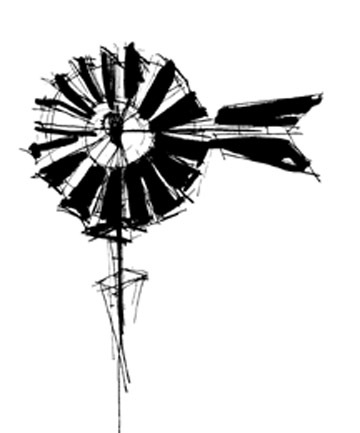 "The Windmill Book," The Arts in the Small Community 2006, is now available through the Americans for the Arts online bookstore. www.artsusa.org.